Overview: The Cyclones earned their fourth win in a row with a dominant 8-1 win over the Maine Mariners. Cincinnati has now won four in a row, and are 11-2-1-0 their last 14 games. The win pushed Cincinnati’s division lead to seven points over the Toledo Walleye, and they are now just three points back of the Florida Everblades for first place overall in the ECHL. 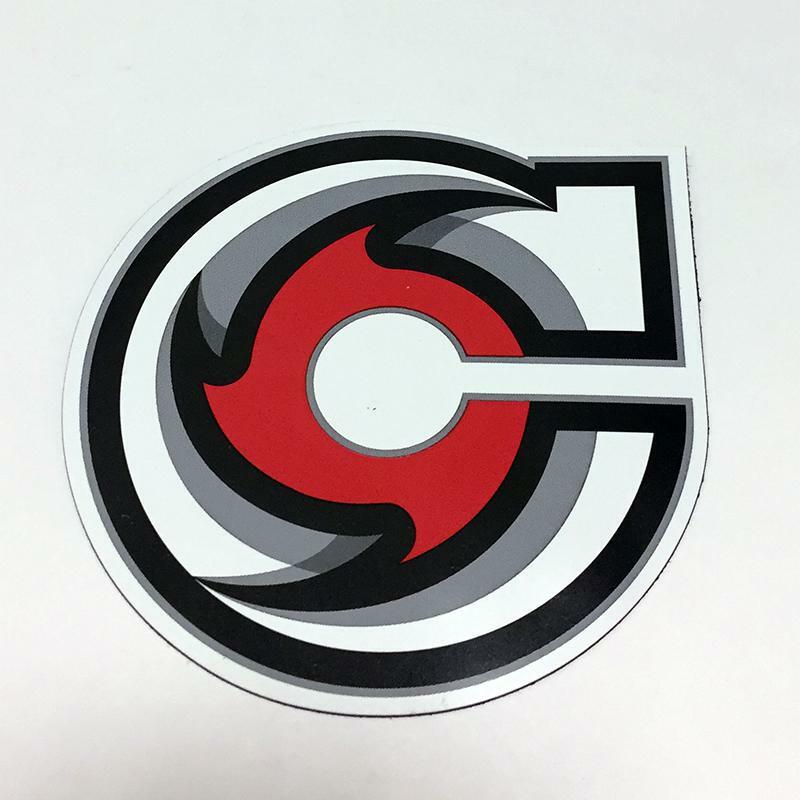 Last Night Recap: The Cincinnati Cyclones (31-8-3-3) collected an 8-1 win over the Maine Mariners on Friday night. Forward Brady Vail had a hat trick in the first period, while forward Pascal Aquin recorded a goal and four assists, and Judd Peterson accounted for a goal and three helpers. Additionally, forward Myles Powell along with defenseman DeVante Stephens netted lone goals for the Cyclones. Cincinnati outshot the Mariners, 33-26, with goaltender Jonas Johansson stopping 25 in the win. 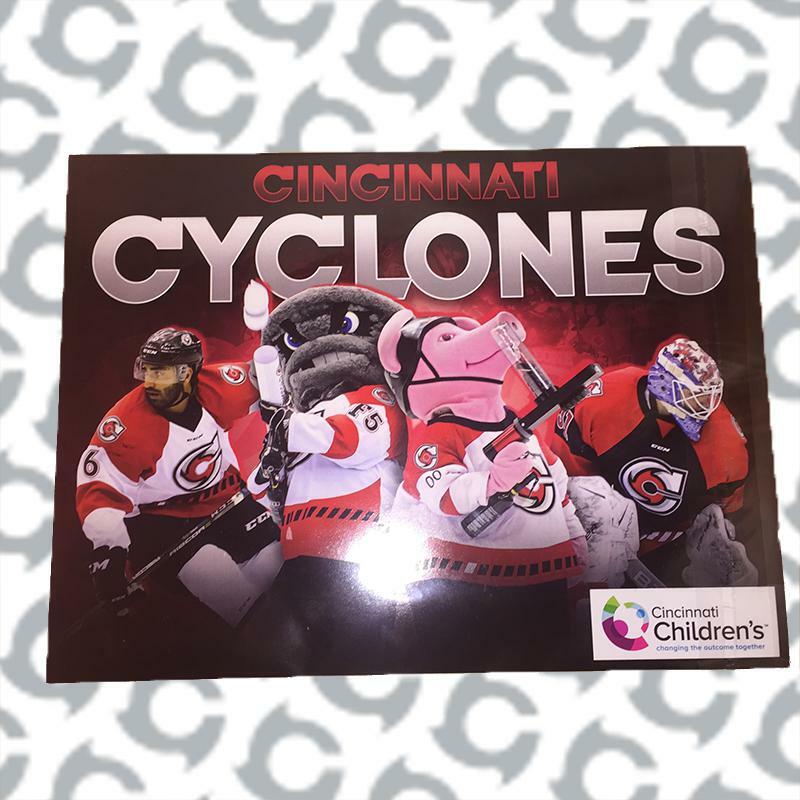 Tuesday Night Recap:The Cincinnati Cyclones (30-8-3-3) took down the Wheeling Nailers, 2-1, in overtime on Tuesday Night, for their 30thwin of the season. Forward Alex Wideman netted the lone goal in regulation, while defenseman Eric Knodel netted the overtime winner. Cincinnati was outshot, 31-21, on the evening, with goaltender Jonas Johansson stopping 30 in the win. 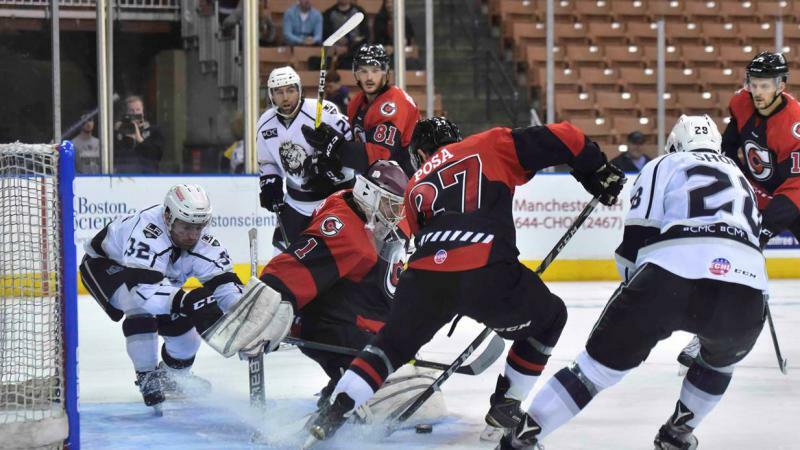 Previewing Manchester: The Monarchs enter play on Saturday in third place in the ECHL’s North Division, 12 points back of the Newfoundland Growlers in first. Manchester is 7-3-0-0 in their last 10 games, and are coming off a 4-3 overtime win over the Wheeling Nailers on Friday night. The Monarchs find themselves in the top 13 in the ECHL in both offense at 3.13 goals scored per game (13th), and 3.00 goals allowed per 60 minutes (9th). Manchester is a team that loves to shoot the puck, as they are averaging a League-high35.13 shots per game. They are led offensively by forward Spencer Watson, who has accounted for 18 goals and 18 assists through 38 games played this season. He is followed by team-goals leader, forward Nic Pierog (21g, 12a), and defenseman David Kolomatis (9g, 21a) who round out the top three. In goal, Charles Williams has posted a record of 14-7-0-2, along with a 2.32 goals-against average, and he is second in the ECHL with a .930 save percentage. Inside the Series: This will be the lone meeting of the season between the Cyclones and Monarchs, and the fourth matchup all time between the two squads. The sides met once before during a three-game series during the 2016-17 season, with the Monarchs taking two of those three games. Next Game Preview: The Cyclones conclude their four-game road trip on Sunday afternoon on Worcester against the Railers. This will be the first all-time meeting between the two squads. Record-Setting Performance: With seven first period goals in Friday’s 8-1 win over the Maine Mariners, the Cyclones set a franchise record for goals in a single period, and it now stands as the fifth-most for a single period in ECHL history. Additionally, with four goals in the opening 7:29, forwards Brady Vail (2), Judd Peterson and Myles Powell set a Cyclones record for the earliest four goals in Cyclones history, and with defenseman Devante Stephens goal at 17:45, and Vail’s hat trick goal at 18:18, Friday also saw new records set for the earliest five and six goals scored in Cyclones team history. Personal Bests: Cyclones forward Pascal Aquin (1g, 4a) and Judd Peterson (1g, 3a) both set single-game career highs in Friday’s 8-1 win over the Maine Mariners. Power Surge: After snapping an 0-19 stretch on the power play in last Friday’s 6-3 win over the Rapid City Rush, the Cyclones are now six for their last 19 on the man advantage. Cincinnati is now 24thin the ECHL with a 13.6% conversion rate on the power play (27/199). Packed Schedule:The Cyclones are in the midst of a stretch of 29 games in 59 days beginning. Cincinnati will play three games in three days on four separate occasions during that time, a pair of four-game-in-five-days stretches, two stretches of seven-games in 10 days, and one of 10 games in 17 days. On the Plus Side: Cincinnati currently boasts three of the top five and eight of the top 19 on-ice ratings in the ECHL entering Friday night. Forward Myles Powell is third in the ECHL with a plus-36 rating, while forward Alex Wideman and defenseman Arvin Atwal (plus-34 each) are tied for fourth in the ECHL, respectively. Defenseman Devante Stephens comes in in ninth with a plus-27, while forward Jesse Schultz (plus-26) and defensemen Eric Knodel (plus-24) place 11 and 1. Defenseman Mitch Jones and forward Pascal Aquin rank 18th and 19th with a plus-20 rating. He’s a Brick….HOUSE! : Goaltender Michael Houser is 10-1-1-1 in his last 13 games, allowing two or fewer goals in nine of them. He was named the Warrior Hockey ECHL Goaltender of the Month for December after a perfect 6-0-0-0 record along with a 1.17 goals against average and a .950 save percentage during the month. Overall, Houser has a record of 16-3-2-1 and leads the ECHL with a 1.91 GAA and a .931 SV%, and he has allowed more than two goals just seven times this season. Fanning the Flames: Forward Jesse Schultz has points in 22 of his last 29 games, accounting for 12 goals and 25 assists in that time. He is now tied for third in ECHL scoring with 50 points (13g, 37a). Piling up the Points: The Cyclones have points in 23 of the last 26 games (19-3-0-4) and wins in 23 of their last 31 games (23-5-0-3). Defensively Offensive: The Cyclones defensive corps have been contributing to the Cyclones offensive success as of late, accounting for 17 goals and 31 assists in the last 26 games. Eric Knodel has five goals and 12 assists in that time, and is currently fourth in ECHL defenseman scoring with nine goals and 21 assists. Additionally, Arvin Atwal has four goals and nine assists, while Tobie Bisson has two goals and 11 assists. Additionally, Devante Stephens (4g, 3a), Anthony Florentino (1g, 3a), Andrew DeBrincat (1g, 1a), and Mitch Jones (2a) have also found the score sheet. Good in All Areas: The Cyclones once again boast the League’s top offense, averaging 3.93 goals per game, and are second in the ECHL team defense, having allowed a miniscule 2.38 goals per 60 minutes. 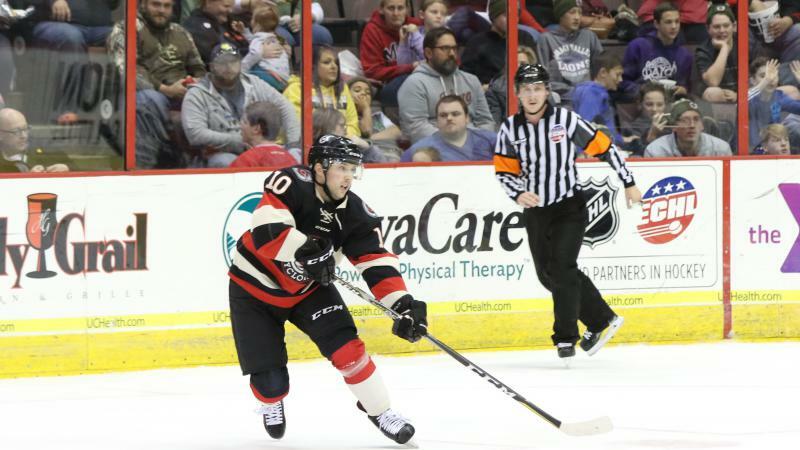 The Cyclones are outscoring teams, 177-107, and have allowed two or fewer goals in 18 of the last 29 games. 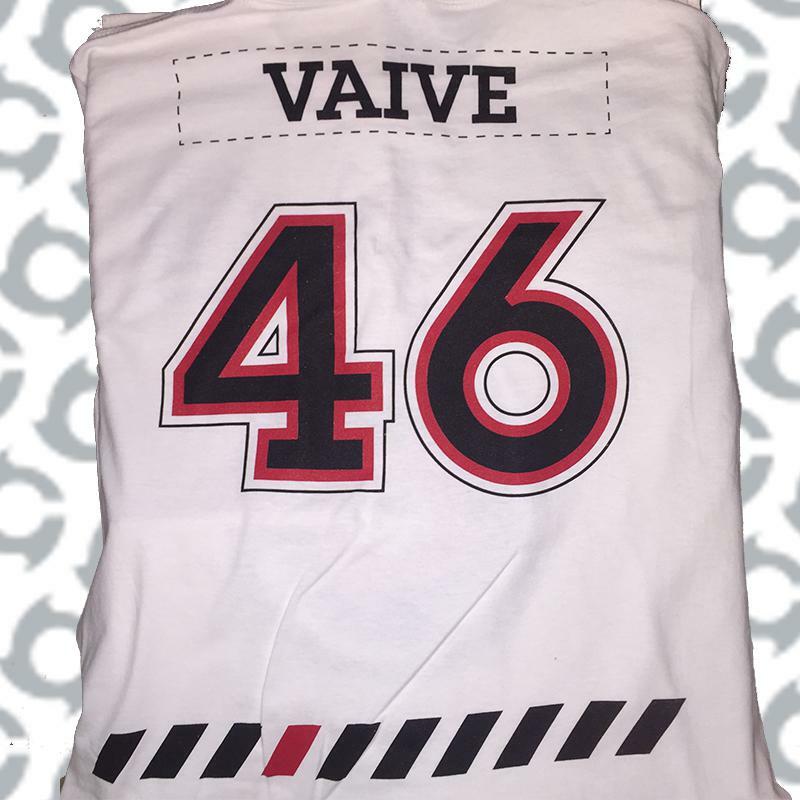 Starting and finishing games have been a specialty for Cincinnati, as they have a League-leading 68 first period goals while only allowing 32, and have allowed 26 goals in the third period. Cincinnati is outscoring the opposition, 57-26, in the final 20 minutes of play, and are 24-1-0-2. when leading through two periods. They have given up more than three goals in regulation just six times this season. Welcome Matt Thomas: The Cyclones enter the 2018-19 season with a new head coach. In early August, Cincinnati hired Matt Thomas as the team’s new bench boss. He replaced Matt Macdonald who was named assistant coach of the Grand Rapids Griffins; American Hockey League (AHL) affiliate of the Detroit Red Wings. A native of Maple Ridge, BC, Thomas has extensive head coaching experience in the ECHL, spanning 11 seasons with the Atlantic Boardwalk Bullies, Fresno Falcons, and Stockton Thunder from 2002-2013. Thomas served two seasons as an assistant coach with Atlantic City, including helping the Boardwalk Bullies to a Kelly Cup Championship in 2003, before assuming the role of head coach and Director of Hockey Operations with the team prior to 2004-2005. He compiled a 42-22-8 mark in his lone season as Atlantic City’s bench boss, and served as the head coach for the 2005 ECHL All-Star Game. He then moved on to Fresno prior to the 2005-06 campaign, leading the Falcons to a 43-15-14 mark along with a trip to the Western Conference Finals. 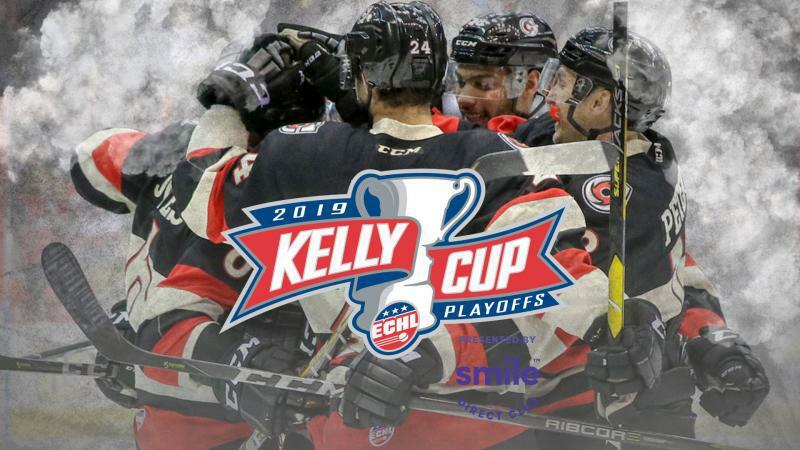 Over the next two seasons in Fresno, Thomas compiled a 76-41-17 record, with trips to the second round of the Kelly Cup Playoffs on both occasions. He coached the Falcons during the first half of 2008-09, leading the team to an 18-10-2 mark before the team ceased operations midseason. Thomas was not out of work for long however, as he was named head coach of Stockton shortly after, and finished the year with a record of 22-16-3, and a trip to the second round of the Kelly Cup Playoffs. Thomas went on to coach the Thunder for four more seasons, amassing a mark of 141-111-36, reaching the post season each year, including a trip to the 2013 Kelly Cup Finals. He enters the 2018-19 campaign as the ECHL’s sixth-winningest coach with a career record of 342-225-80, just one win back of fifth place all time. He is also the all-time leader in playoff games coached with 97, and ranks third with 49 playoff wins.